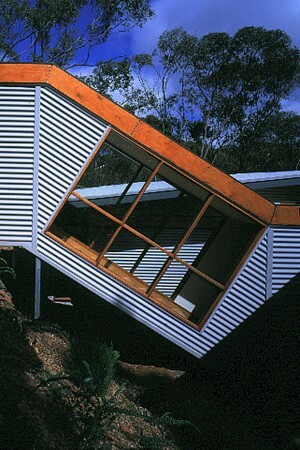 Lightweight house on a steep site. 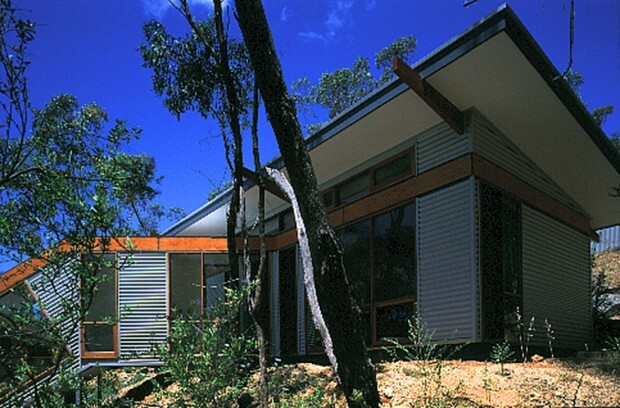 The house is designed such that all native vegetation on the site could be preserved and no soil excavated, according to the clients’ wish. 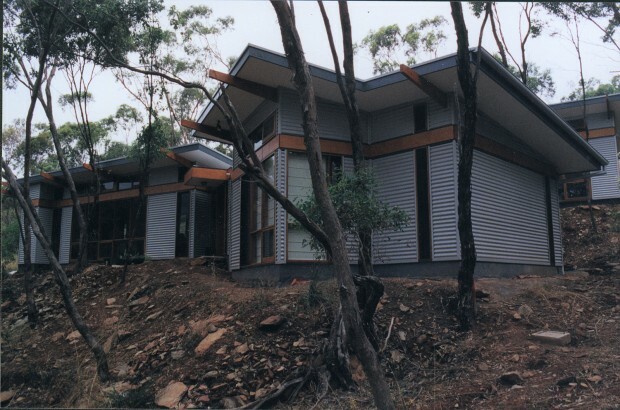 With a modest budget, the project achieved: Conservation of all existing trees, Strong relationship with the natural landscape Affordable, passive solar design with pavilions linked by a quirky and charming glazed stairway.